With the rise in urbanization, globalization, and India’s industrial growth, the Indian fashion industry has witnessed a significant amount of progress over the past few decades. People have developed a penchant for organic, sustainable and eco-friendly fashion. Many Indian designers have worked hard towards the development of Indian textiles and have completely revolutionized the way we look at traditional Indian crafts and materials. 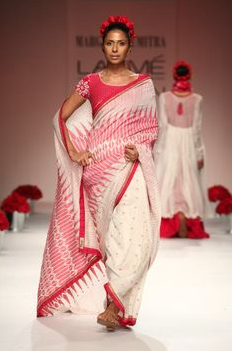 And thanks to a few veteran designers, Linen, especially linen saris, has officially made its foray into the Indian fashion industry. We totally love the look and feel of this beautiful and environmental friendly fabric, which is also a great summer staple. 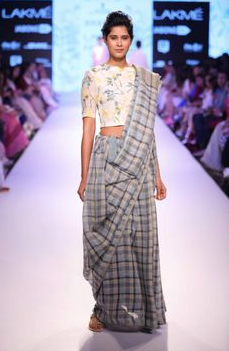 A linen sari looks gorgeous in the summer and renders a stylish upgrade to your wardrobe. Here’s our edit of the best designers who are giving us major sari goals with their minimal and gorgeous linen saris. 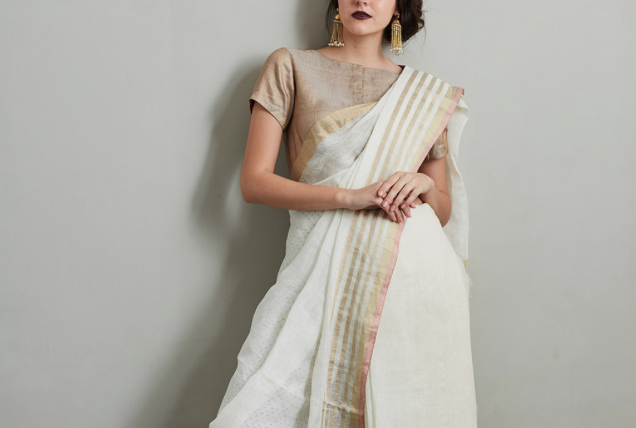 With a strong focus on linen, this ace designer has become a household name for her beautiful and elegant hand-woven linen saris. She is well known for her sustainable and organic garments and has successfully managed to incorporate traditional weaving techniques, rural crafts, Indian textiles and handloom in her work. Paromita Banerjee has swept us off our feet with her minimal and chic design aesthetics. She works towards the development of Indian handloom and weaving methods and her work is truly a celebration of Indian local textiles like linen, jamdani and khadi. When it comes to fashion, Soumitra Mondal is of the opinion that nothing works better than functionality and simplicity. He seeks inspiration from Indian culture, heritage and art. 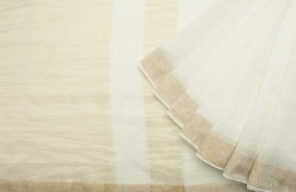 We love his beautiful hand woven khadi, cotton and linen saris. Neeru Kumar has impressed us with her creative and innovative textile renovations. She has given a modern and creative alteration to Indian textiles like cotton, khadi, linen, shibori, chanderi etc. Ethicus, owned by Appachi, is considered to be one of India’s first ethical and organic fashion brand. This brand is an epitome of everything organic and environmental friendly. It works for the benefit of the environment and the society as a whole. 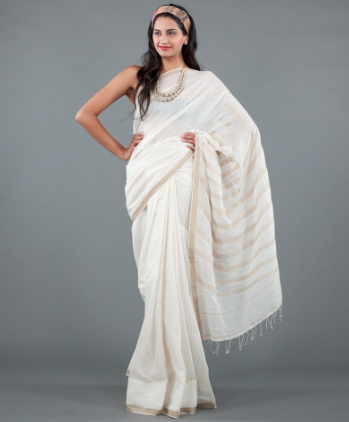 Ethicus specialises in organic cotton products and the linen/cotton saris are absolutely remarkable.